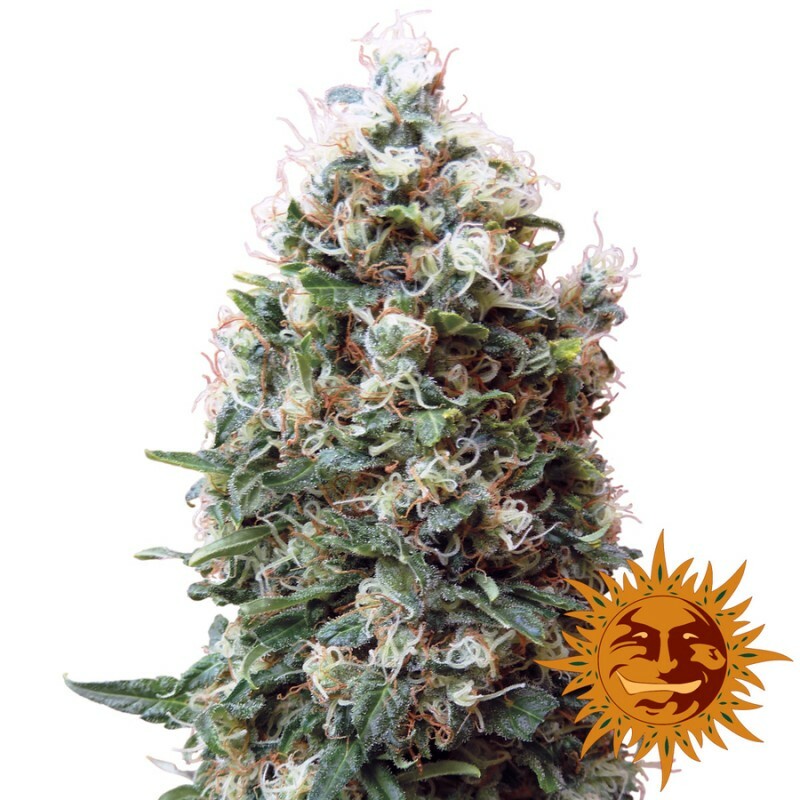 Phatt Fruity cannabis seeds are an unusual blend of fine genetics which brings together the profound flavors of Afganistan and North India with the brighter, tropical and fruity tastes of Mexico. This strain is especially resistant to mold and will grow well both indoors and outdoors. Phatt Fruity contains large amounts of CBD and a lower THC level so perfect for medical users. The effects of this variety are mellow and calming, creating a nice cerebral high. Phatt Fruity’s finished buds offer aromas that are musky, fruity and reminiscent of the classic skunk varieties. The smoke leaves delicate hints of forest berries and earthy spice on your palate, definitely one for the avid collectors. She is a mostly Indica strain and will produce up to 500 grams per square meter when grown under optimum conditions. You can buy these cannabis seeds here today discreetly from SeedMasters.com! Honey B cannabis seeds is a mostly Sativa strain which produces a very long lasting and clean high.T..
Blue Cheese cannabis seeds are a very productive and easy to grow variety which also produces very f..
Crimea Blue cannabis seeds have been created by crossing the popular Blueberry strain with a hardy T..